Minimum of two in party, including all listed appetisers and mains Book online for free text confirmation or call 01332 809 894. Minimum of two in party, includes all listed appetisers and mains. Book online for free text confirmation or call 01332 809 894. Minimum of two people, includes all listed appetisers and mains. Book online for free text confirmation or call 01332 809 894. Fantastic experience. Cannot fault any part of the food or service. The staff are respectful and very friendly. The restaurant is traditionally decorated (including a TucTuc) and is warm and subtly lit. Orders are taken efficiently and the food arrived quickly. 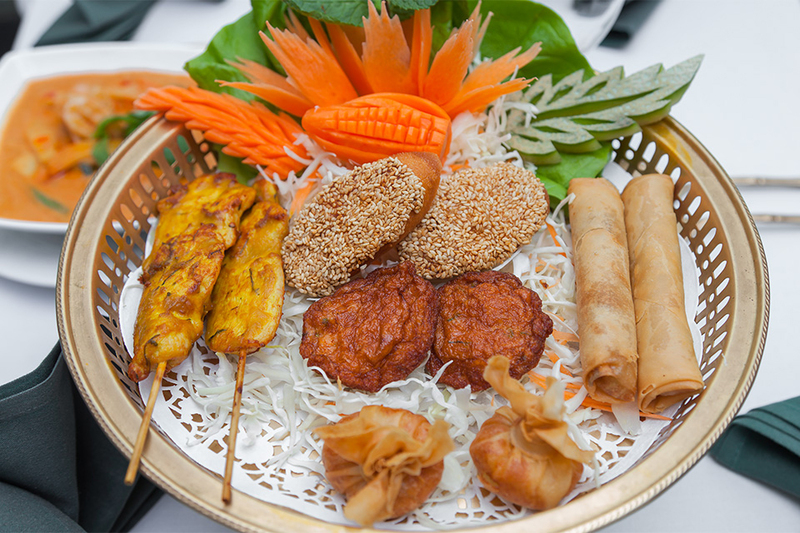 There is a great range of traditional Thai food, all home cooked and presented beautifully, which tastes amazing. Have been twice now and will certainly go again. Very highly recommended. 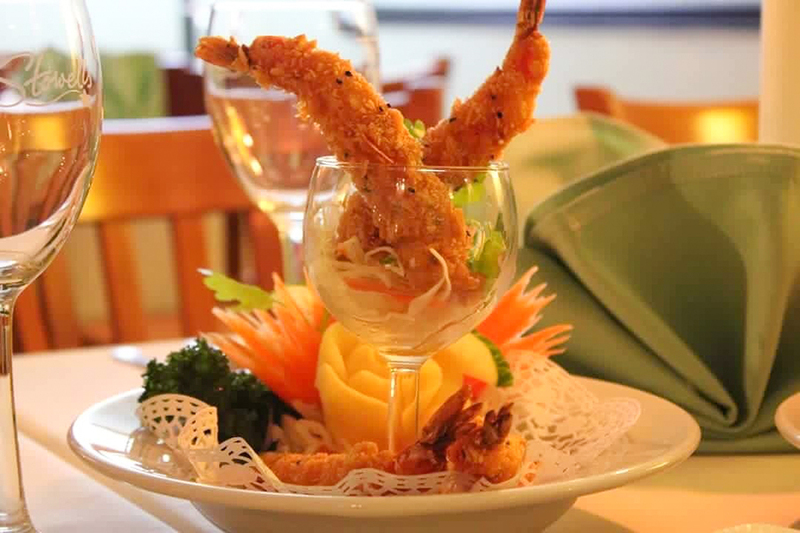 Just minutes away from the Derby Theatre, the Showcase cinema and the busy London Road shopping district, Thai Boran is the ideal place to go for a pre-show meal or unwind after a hectic day in town. 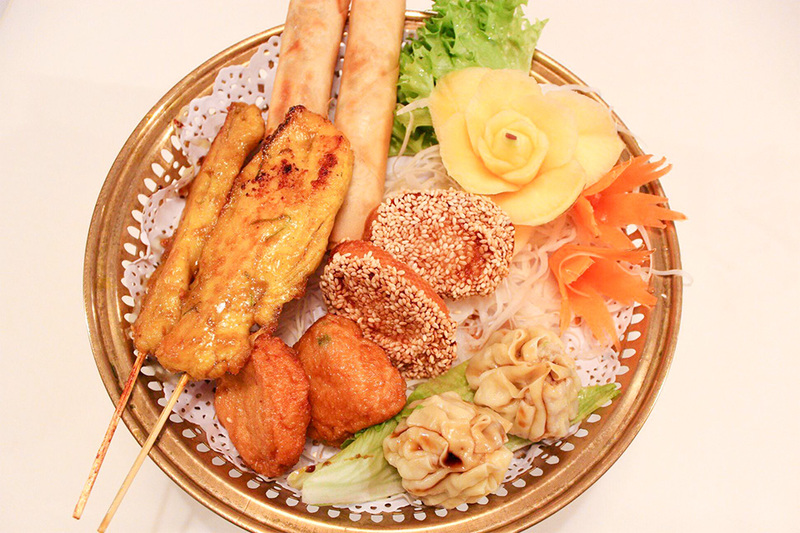 A new restaurant has opened just 100 yards away from what was formerly the top Thai restaurant in Derby, Thai Boran. 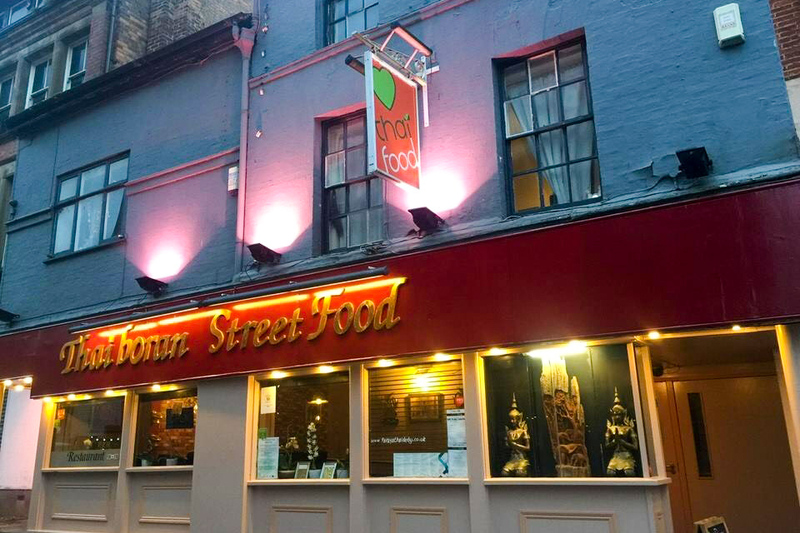 However, you will still find that this is the best Thai place in Derby, as its the same place, simply relocated and revamped for the benefit of new customers and their loyal returnees! Inside, you'll find authentic Thai accents like antique carved Buddha statues and snarling decorative masks mixing seamlessly with the painted brick and graphic wallpapers of the surroundings, giving the place a welcoming and chic vibe. Owner Choovej honoured his culinary skills in the renowned Central Hotel in Bangkok, Thailand, and has returned back to Thailand and the Far East many times over the years to keep up to data with the latest innovations in Thai cooking techniques and ingredients. 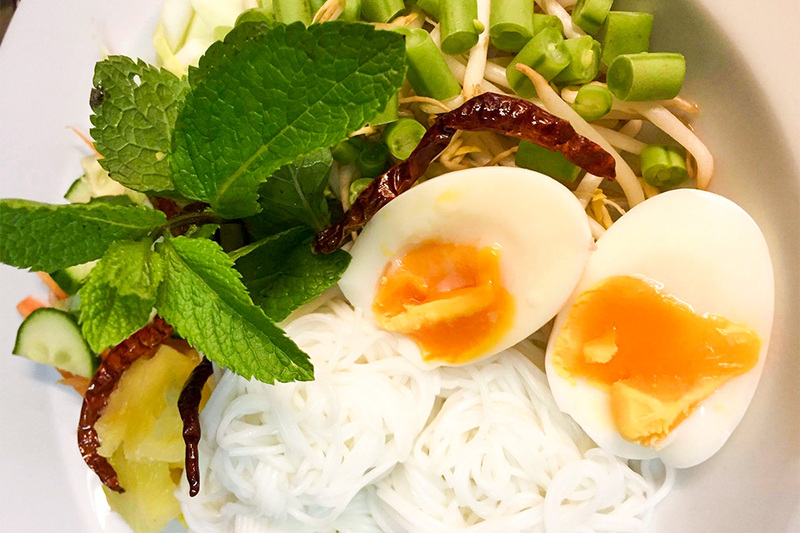 This new incarnation of Choovej and Aoy's award winning Thai restaurant has been received with excitement by their regulars, and surpasses culinary expectation. 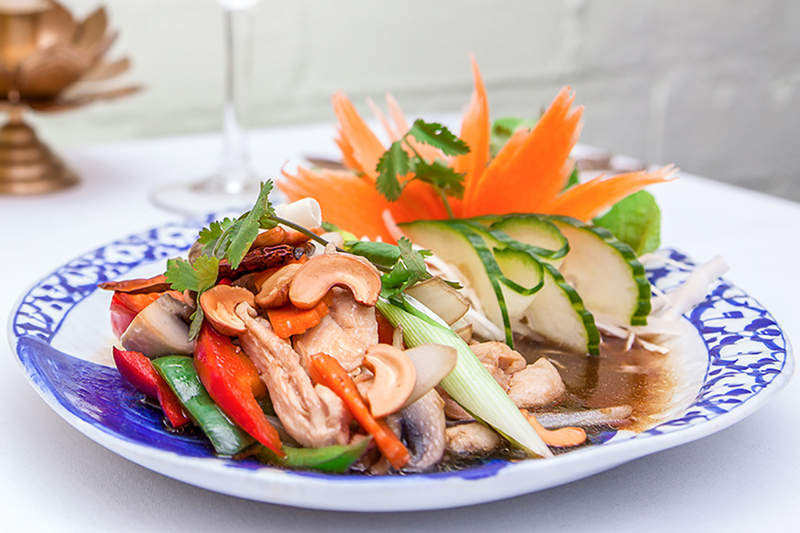 Thai Boran is the new hot-spot in Derby for a fantastic, authentic Thai meal in a great venue, so head here as soon as possible. * Medium hot | * * Hot | * * * Very hot Please ask a member of staff if you have any food allergies or special dietary requirements.